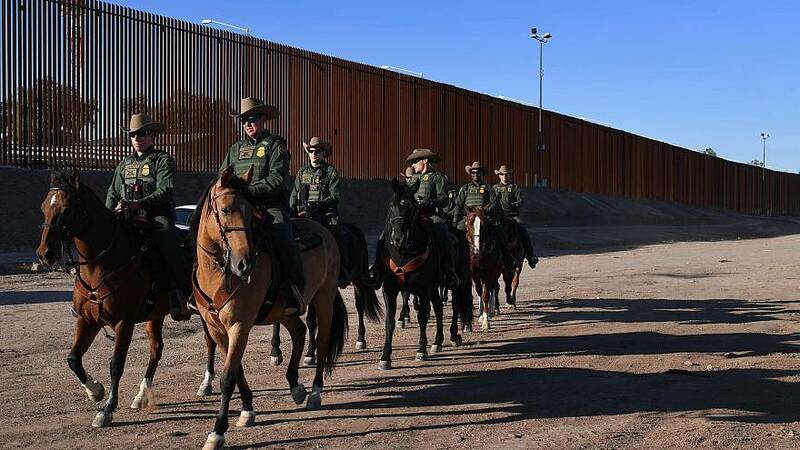 President Donald Trump is making another visit on Friday to the nation's southern border, where he'll boast of building a new wall in Calexico, California. Last February, CBP said that they'd begun replacing 2.25 mile of outdated fencing built from recycled metal scraps and landing mat with 30-foot steel bollard fencing. The project was completed in October, and the White House has been touting it ever since. "This plaque was installed on October 26, 2018, to commemorate the completion of the first section of President Trump's border wall," the plaque reads, below the presidential seal, Trump's name, and several officials' names.